Was your New Year’s Resolution to travel more? Or to see more of the world? Did it include making life-long, life-changing memories abroad? If so, here’s the list you’ve been waiting for! In this newsletter, I share my favorite 5 once-in-a-lifetime accessible shore excursions in the Mediterranean with you. These aren’t just amazing tour options… they are carefully planned, unique, memorable and fully accessible experiences in one of the most beautiful regions in the world, the Mediterranean. 1. Visit the top of the Acropols in your wheelchair! Yes, you read it correctly! The Acropolis is one of the most famous images in the world, and disabled tourists don’t have to miss it! 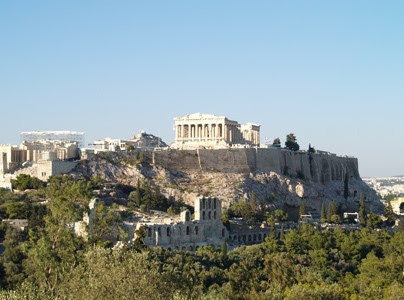 While the breathtaking Acropolis is located on a high rocky outcrop above the city, there are ways to avoid some of the major accessibility challenges and make it to the top to experience the magnificent, memorable views of the city. If you’re in a wheelchair or have another disability, avoid the long cobble-stoned hill by taking an accessible taxi up to the entrance of the Acropolis. Upon arrival at the gate, you’ll have to navigate a 250 m paved path to reach the wheelchair stair climber that will take you to the elevator (advanced notice to use the elevator is advised). Make sure your once-in-a-lifetime visit to the Acropolis goes smoothly by booking an accessible Athens guided tour with a guide familiar with the accessibility features of the site – one who has experience touring with disabled clients and can help you navigate the uneven terrain at the top. 2. 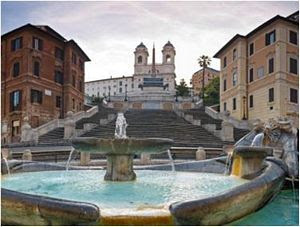 Experience Endless Treasures in the Eternal City of Rome! Few cities can rival Rome’s astonishing artistic heritage and this alone makes it a must-visit place for everyone, including disabled travelers. Enjoy the dolce vita lifestyle, the Mediterranean atmosphere and delicious Italian cuisine, all while exploring some of the most treasured, beautiful structures in the world. With endless things to see and limited time, prioritizing will be key. Our Best of Accessible Rome Cruise Excursion gives you the opportunity to experience all the highlights of Rome in just 1 day! Visit the impressive Vatican, The Trevi Fountain, the Colosseum, the Roman Forum, the Spanish Steps, the Pantheon and much more, all while being escorted around by your English speaking private tour guide in a comfortable wheelchair accessible van. This is a day you’ll never forget! 3. 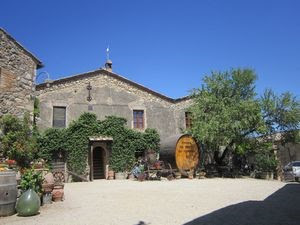 Sample Wine in Provence! For me, some of my most memorable experiences from traveling throughout Europe are the ones that touched me in some way. Provence is one of memories. The beauty of the history-steeped region is simply unforgettable! When my staff and I design accessible tours, we do everything we can to a) Prioritize the highest accessibility standard possible b) Ensure that the highlights and unique features of the particular destination are included as much as possible – our Highlights of Provence Accessible Guided Tour is a great example of this. 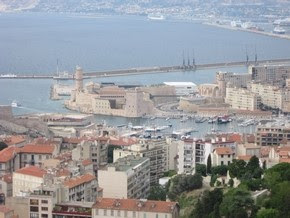 This full-day accessible excursion combines a visit to the oldest city of France, Marseilles, with a step-free walking tour in the city center of the impressive capital of Provence, Aix-en-Provence. You’ll also have the opportunity to visit an accessible winery for some local wine tasting, and admire the turquoise water and scenic coastline of Provence as you stroll down the promenade by one of the beaches in Cassis. There was no way around it, this had to make the list! 4. See inside the crater of the only active volcano in the mainland of Europe! Looking for a unique experience that you’ll always remember? This is it! 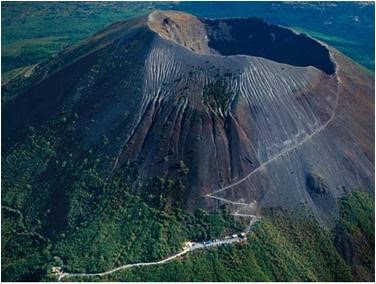 Not only does our Accessible Pompeii and Vesuvius Special Tour allow you to visit the historical ruins at Pompeii, you’ll also get a special permission to be transported by a 4 wheel drive vehicle to view the Mt. Vesuvius volcano crater to avoid the walk uphill! You’ll also see some breathtaking views of the beautiful Bay of Naples so have your camera ready! Pompeii is a partially excavated 2000 year old Roman city that was buried and forgotten for hundreds of years. With this tour you won’t have to worry about the uneven cobblestones, numerous stairs and uneven terrain. Your experienced tour guide will help you avoid the non-wheelchair friendly paths and lead you to the parts of Pompeii that are accessible to disabled visitors. 5. Enjoy the treats of Tuscany! Why settle for less when you can have it all? In Tuscany you can! This beautiful Italian region not only offers beautiful nature, quaint Italian cities and some of the best wines, it’s also peppered with some of the world’s most recognizable Renaissance-era art and architecture, including Michelangelo’s “David”, the works in the Uffizi Gallery, the Duomo Basilica and the Leaning Tower of Pisa. So much of the region isn’t found inside a building and can’t be viewed from a motor coach traveling one major highway so a private guided tour is really a must creating lifelong memories in Tuscany. You can opt for tours that are city centered such as the Accessible Highlights of Florence Cruise Excursion, or you can choose not to choose with our Florence, Pisa and Tuscan Winery Excursion. This fully accessible tour includes the beautiful Renaissance city of Florence, the Leaning Tower of Pisa and a visit to an authentic Tuscan Winery. You get beautiful sights, great wine and guaranteed accessibility. Our accessible Tuscany tours are led by professionally licensed guides who can take you along the back roads of this beautiful region for an experience you won’t soon forget! We offer Accessible Mediterranean Cruises, too! If you book any of the above once-in-a-lifetime Mediterranean excursions as a part of an accessible cruise & excursions package, you’ll receive €50 off! Accessible Tours and Excursions for 2016 are booking fast! Hurry up and book yours today!